With so many frequent flyer programs out there, it’s tough to choose which program or programs to focus on. Depending on what your travel goals are, some programs might be better choices than others, so we’ll helped you narrow it down. 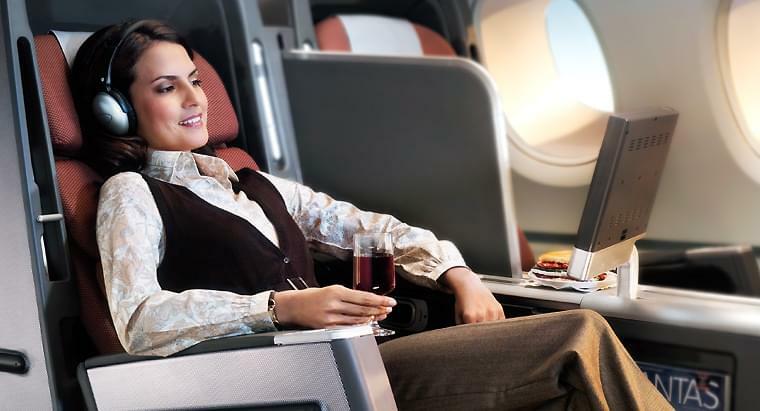 Here are the top 5 frequent flyer programs for aspirational redemptions. ANA is a member of Star Alliance and also has a number of non-alliance partners including Etihad, Virgin Atlantic, and Virgin Australia. They offer some excellent values for premium cabin redemptions. Note that ANA does not offer one-way awards, but they do allow one stopover and up to two open-jaws on a roundtrip – and their routing rules are generally very flexible (for example, you can fly from the US to Asia via Australia, or from the US to Europe via Africa). You can also combine multiple Star Alliance partners on a single ticket; however, flights on non-alliance partners cannot be combined with any other airline. Note that ANA’s website will only show availability for Star Alliance partners – other partner flights will have to be booked over the phone. ANA also requires that booking or changing of tickets happen at least 96 hours prior to departure. ANA does not have fuel surcharges on its own flights, but does pass on fuel surcharges from partner airlines. You can transfer miles to ANA Mileage Club from American Express Membership Rewards and Starwood Preferred Guest. Note that neither of these transfers are instant. Japan Airlines has an excellent distance-based award chart for premium cabin redemptions, though their miles are difficult to obtain. They are a member of the one world alliance, and also have non-alliance partners including Emirates, Korean, Air France. Routing rules are generous, including up to 3 stopovers and one open jaw, and one-way awards are allowed (though not always the most economical). Note that most partner bookings must be made over the phone. 200,000 miles roundtrip in First. You can transfer miles to Alaska Airlines from Starwood Preferred Guest (with a 5,000 mile bonus for every 20,000 Starpoints you transfer). Alaska Airlines’ variety of Mileage Plan partners and generous routing rules make them a compelling choice for aspirational awards on several airlines. Alaska miles can be used for one way tickets on most carriers (except Korean Air) or combined with different airlines in each direction – for example, you can book a ticket to Australia flying on Cathay Pacific in one direction and Fiji Airways in the other, but you’re only allowed to fly one partner as part of each award. Alaska also allows a free stopover in each direction – even on one way tickets. Alaska also has some unique partners that may not offer the best Business Class or First Class products in the sky, but offer surprising value to unusual destinations. For example, you can fly to Australia or New Zealand in Business Class on Fiji Airways for just 55,000 miles, including a stopover in Fiji. 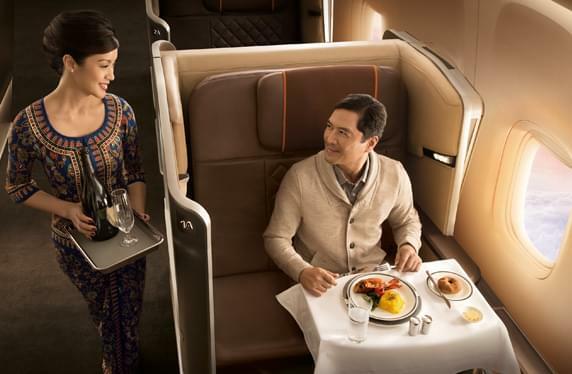 They also recently announced a partnership with Singapore Airlines, but have not yet released an award chart. You can transfer miles to Alaska Airlines from Starwood Preferred Guest (with a 5,000 mile bonus for every 20,000 Starpoints you transfer) or earn them by signing up for an Alaska Airlines Visa Signature Card from Bank of America. Krisflyer miles are easy to obtain and use, and they’re the only miles you can use to book Singapore’s award-winning Suites. One thing to be careful of with Krisflyer miles is that they expire 3 years after you earn them, regardless of what else you’ve done with in your account. However, transfers from some transferrable points currencies are instant, so you can make sure there’s availability for your trip before you transfer your miles. Like Alaska, Virgin Atlantic is not part of any alliance. However, they are partially owned by Delta, and they have several interesting partners including Air New Zealand, ANA, Singapore, South African, and Virgin Australia. Most partners require round trip itineraries. You can transfer miles to Virgin Atlantic Flying Club from Chase Ultimate Rewards, Citi ThankYou Points, or American Express Membership Rewards, or earn them by signing up for a Virgin Atlantic World Elite MasterCard® from Bank of America.